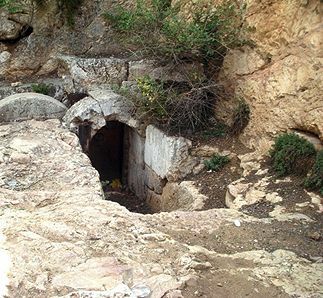 A park just outside Jerusalem contains a first-century tomb with rolling stone. Photo by Reta Finger. As noted before, Jesus’s execution by crucifixion was thoroughly ignominious and shameful, attended only by peasant disciples, mostly women. But now, Joseph of Arimathea, a secret disciple of higher class and greater political clout, intercedes with Pilate for permission to bury the body (19:38). All four Gospels note the essential role of this Joseph, but Matthew alone says the tomb belonged to him (Mt 27:57-60). In contrast, John places the tomb in a garden near the site of crucifixion (Jn 19:41). Joseph’s companion is Nicodemus, the uncomprehending Pharisee from John 3 who later became a believer (see 7:50-52). By now Nicodemus is so convinced that Jesus is the son of God (3:16) that he brings a hundred pounds of myrrh and aloes—enough spices for a royal burial! (19:39-40). If they could afford it, Judeans buried their dead in a lengthy process. The first stage happened quickly, however. Between the last breath and sundown, the body was washed and anointed with spices, usually by women, and then laid on a shelf in a tomb cut out of the limestone bedrock around Jerusalem. Rites of mourning would begin at that time and continue for a full year. During that time, the flesh would rot away, leaving only the bones by the end of the year. This decomposition was necessary as a way for the person’s sins to be expiated. “One’s evil deeds were thought to be embedded in the flesh and to dissolve along with it,” say Malina and Rohrbaugh (p. 276). Mourning rites stopped at the end of a year, and the bones of the dead person were collected from the shelf in the tomb and placed in a “bone box,” called an ossuary. These boxes were the length of the longest thigh bone, similar to a box for scrolls, so they could be easily stored. Though not all Jews believed in bodily resurrection at that time, it had become a common hope for many—especially after so many righteous, law-observant Jewish soldiers had been killed in the Maccabean War 200 years earlier (see Daniel 12:2 and 2 Maccabees 7:1-41). Even the bodies of executed criminals were placed in a special tomb set apart by the court for that purpose. Their bones were then returned to their families after a year. The rotting of the flesh signified the payment of the debt for their crimes so that their bones could become eligible for resurrection. 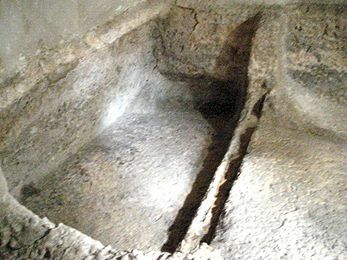 Example of a burial shelf inside a tomb cut into limestone rock. 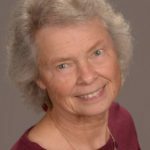 Although they did not understand, with hindsight we as readers can see the importance of Jesus’s bodily resurrection “on the third day.” Decay is already in process after the fourth day, as Martha tells Jesus at the tomb of Lazarus (John 11:39). But the body of Jesus did not need to putrefy in order to atone for his actions. Since God intervened before rotting started, God was revoking Jesus’s death sentence! “To say that Jesus was raised is to say that God overturned the judgment of Israel’s chief priests,” write Malina and Rohrbaugh (p. 277). Thus God condemns “the rulers of this world” and vindicates everything that Jesus had said and done throughout this Gospel. 1. John’s Gospel says nothing about Jesus’s death as atonement for the sin of others, (although other NT writings suggest this, i.e., Hebrews 9:27-28). How does the theory of substitutionary atonement differ from this Gospel’s vindication theology? Which explanation is more familiar to you? Can both contain truth? 2. Our burial customs are different today. Does that change the meaning of Jesus’s life, death, and resurrection for us? Why or why not? What does it mean for you personally? Jesus’ resurrection after his death is the ultimate and defining proof of Jesus’ divinity. Just about everyone knows the story, which is summarized in the Apostles’ Creed. Jesus was crucified, died, and was buried. He descended into hell. On the third day he arose again from the dead. He ascended into heaven and sits at the right hand of God the Father Almighty. For I delivered to you as of first importance what I also received, that Christ died for our sins in accordance with the scriptures, that he was buried, that he was raised on the third day in accordance with the scriptures, and that he appeared to Cephas, then to the twelve. Then he appeared to more than five hundred brethren at one time, most of whom are still alive, though some have fallen asleep. Then he appeared to James, then to all the apostles. Last of all, as to one untimely born, he appeared also to me. As you can see in this passage, Jesus appeared to hundreds of people a number of different times. 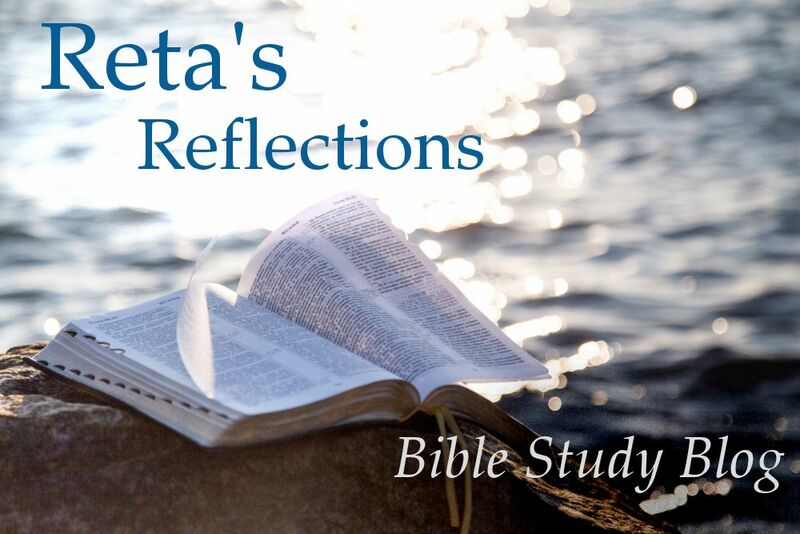 Being like Paul: When we look at these Bible passages, there is a question that comes to mind — why did Jesus stop making these appearances? Why isn’t Jesus appearing today? It really is odd. Obviously Paul benefitted from a personal meeting with the resurrected Christ. Because of the personal visit, Paul could see for himself the truth of the resurrection, and he could ask Jesus questions. So… Why doesn’t Jesus appear to everyone and prove that he is resurrected, just like he appeared to Paul? There is nothing to stop Jesus from materializing in your kitchen tonight to have a personal chat with you. •We are told by the Bible that Jesus appeared to hundreds of people. •We therefore know that it is OK for Jesus to appear to people — it does not take away their free will, for example. •We know that it would be easy for Jesus to appear to everyone all through history, since Jesus is all-powerful and timeless. •We know that, if Jesus did reappear to everyone, it would be incredibly helpful. We could all know, personally, that Jesus is resurrected and that Jesus is God. If Paul (and all the other people in the Bible) needed a personal visit to know that Jesus was resurrected, then why not you and me? Yet, we all know that Jesus has not appeared to anyone in 2,000 years. THINK, folks! Which is more likely: A dead man walked out of his grave 2,000 years ago, ate a broiled fish lunch with his fishing buddies and then 40 days later levitated into outer space, or, this entire story of a Resurrection is a legend: a legend based on false sightings and/or visions and hallucinations, of well-intentioned but uneducated, illiterate, hope-shattered, superstitious Galilean peasants, desperately trying to keep alive their only source of hope in their miserable, first century existence? Jesus’ Tomb was not Guarded or Sealed the entire First Night! I had never heard of this until today: How many Christians are aware that Jesus’ grave was unguarded AND unsecured the entire first night after his crucifixion??? Isn’t that a huge hole in the Christian explanation for the empty tomb?? Notice in this quote from Matthew chapter 27 below that the Pharisees do not ask Pilate for guards to guard the tomb until the next day after Jesus’ crucifixion, and, even though Joseph of Arimethea had rolled a great stone in front of the tomb’s door, he had not SEALED it shut! Anyone could have stolen the body during those 12 hours! 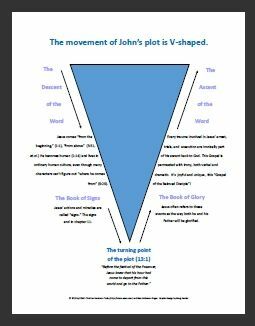 The empty tomb “evidence” for the supernatural reanimation/resurrection of Jesus by Yahweh has a HUGE hole in it! “When it was evening, there came a rich man from Arimathea, named Joseph, who was also a disciple of Jesus. 58 He went to Pilate and asked for the body of Jesus; then Pilate ordered it to be given to him. 59 So Joseph took the body and wrapped it in a clean linen cloth 60 and laid it in his own new tomb, which he had hewn in the rock. He then rolled a great stone to the door of the tomb and went away. 61 Mary Magdalene and the other Mary were there, sitting opposite the tomb. So when did the guards show up to the tomb? Early the next morning or late in the afternoon? If late in the afternoon, the tomb of Jesus had been unguarded and unsealed for almost TWENTY FOUR hours! The empty tomb is NOT good evidence for the resurrection claim. The most plausible explanation, based on the Bible itself, is that someone stole or moved the body!